Man, let me tell you how caught up I got in all the new Star Wars excitement. I drug my behind, and that of my wife, out to Toys R Us at midnight just to get a look at the new toys. I walk in and there's these four foot tall Stormtrooper and Darth Vader figures for $100 each and I almost came home with them. I was trying to justify buying them, but once civil war broke out in my brain the reasonable side totally won out, leaving behind them a trail of dead, irrational soldiers. Then we go into Bed Bath and Beyond a few days later and they have that killer smart phone controlled BB-8 toy, and yet again a war was fought in the confines of my skull. I ended up leaving with a headache and no droid. Sometimes being an adult is beyond dumb. Finally, after years of seeing people freak out about those subscription box thingys there's finally one I'm interested in. 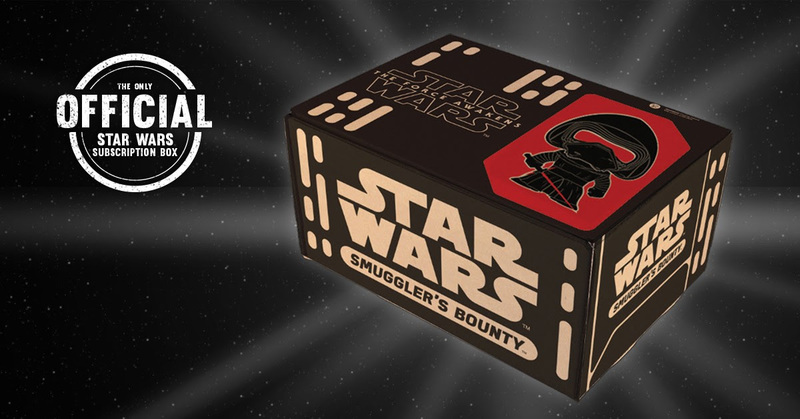 I've completely given up on anyone coming out with the "Human Skull of the Month" club, but Funko's Smuggler's Bounty is pretty intriguing. They're kicking this thing off in November and the first box will feature 2 exclusive Pop! Vinyl figures and other stuff related to the new film. Supposedly every box will focus on a different aspect of the Star Wars universe, but hopefully they're smart enough to leave Jar Jar out of it. Unless it's a severed head, then by all means. Each box will cost $25 and will be available bi-monthly, but if you subscribe for a full year you get a special surprise at the end of it that's exclusive to those not afraid of commitment. 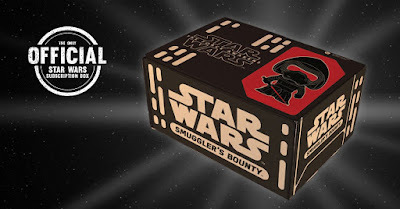 Get it going over at www.smugglersbounty.com.